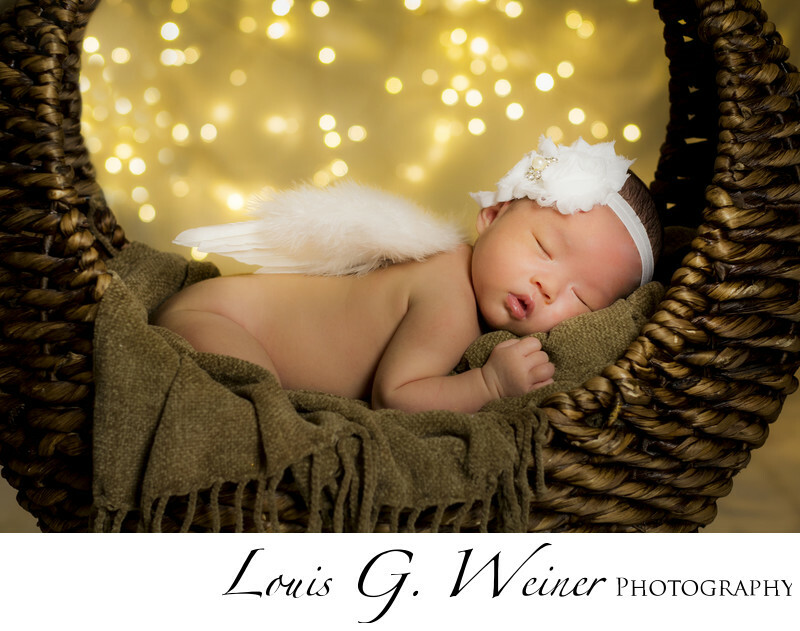 I love this beauty photograph of this sleeping baby, one of the wonderful parts of photographing very young babies is capturing them sleeping, so peaceful and angelic. Intimate portraits of infant / Baby with parents in their home with studio lighting set up for soft inviting lighting touch. Two Doctors and their baby in Loma Linda, this portrait was captured in black and white, simplifying the image by removing color allows the viewer to concentrate on the subjects beauty. In this case the wonder of a new born just weeks after he entered this world. Setting up studio situations in my clients homes allows for the least amount of disturbance in the baby and families life, the studio can generally be set up in less than 30 minutes and I do not count this time in the session.